Reduces muzzle flash, ideal for night shooting and use with a thermal scope. This is footage is courtesy of a customer using an ICEng custom “Operation Bikki Bikki” Flash Hider while shooting with a thermal/night vision scope. At about the 3 second mark, the shot is fired (it was a confirmed clean and quick kill) and the 60kg boar drops. Usually a white light would wash over the scope, but the flash hider keeps it nice and dark. 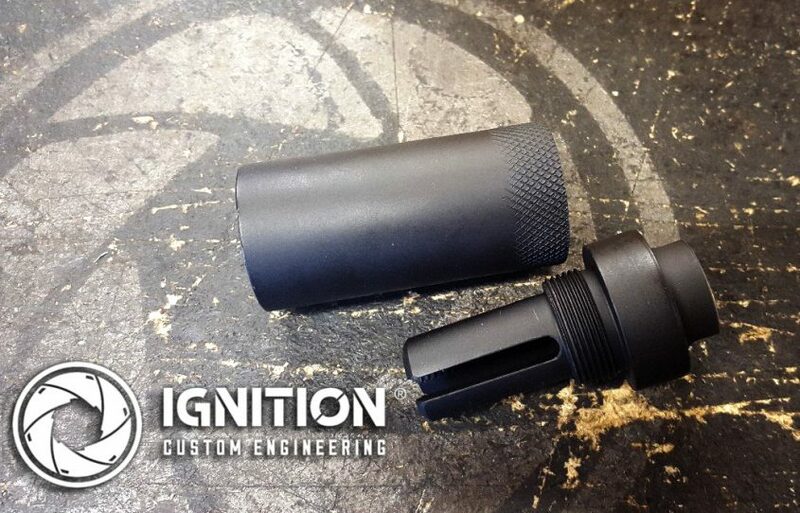 The flash hider is designed to remove the bright muzzleflash from shooting that can wash out night vision and disrupt target acquisition in low-light situations. Instead, the shooter is free to move onto the next target without delay (or can remain on-target to give accurate and immediate follow up shot if required). 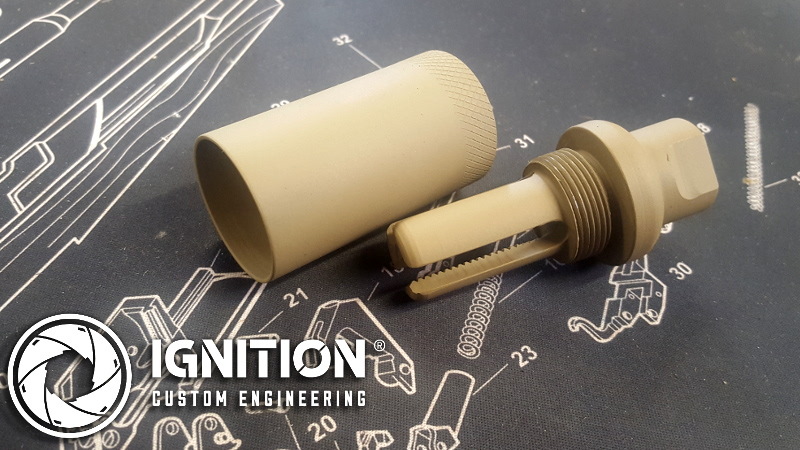 The flash hider used in this video is the Operation Bikki Bikki model, custom made in-house at Ignition Custom Engineering. It includes the prong piece, which screws onto a threaded barrel, and a removable blast shield. It can be customised for any calibre, fabricated from stainless steel and can be finished in Cerakote. You can buy it now using the link below. As it is a custom made piece per order, turnaround is 3-4 weeks.